Palladium (Pd) is one of the most used material in energy related applications. Due to high cost of Pd, alloying it with cheaper metals will reduce the use of Pd. In relation to this, the adsorption of Pd on Au(111) surface is analyzed in this study by performing Density Functional Theory (DFT) based calculations. Face-Centered-Cubic (FCC) hollow site is found to be the most stable for Pd adsorption. As a function of coverage, these Pd atoms shows different electronic properties which suggests that these Pd atoms exhibit different behavior on Au surface. In addition, hybridization between the states of Au and Pd is observed from the density of states profiles and their interaction is also evident from the performed charge analysis. T. N. Buenaluz and A. A. Padama. 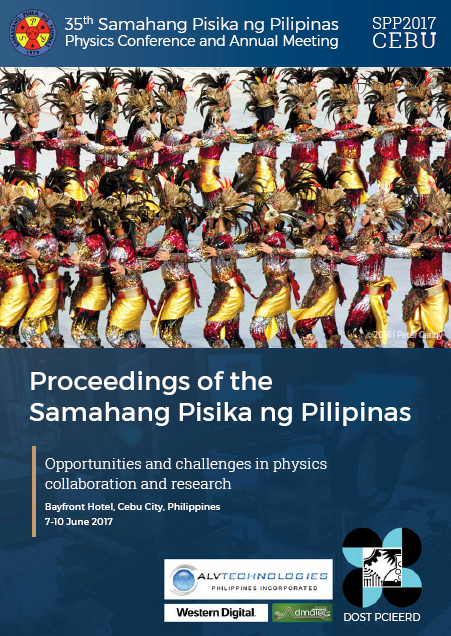 A density functional theory study on adsorption of Pd on Au(111) surface, Proceedings of the Samahang Pisika ng Pilipinas 35, SPP-2017-PB-21 (2017). URL: https://paperview.spp-online.org/proceedings/article/view/49.